McDonald's Responsible For Treatment Of Workers, Agency Says : The Two-Way The National Labor Relations Board has found that McDonald's shares responsibility for working conditions at its franchised restaurants. The company will fight the ruling. The National Labor Relations Board says McDonald's shares responsibility for how workers are treated at its franchised restaurants. McDonald's shares responsibility for how workers are treated at its franchised restaurants, the general counsel's office for the National Labor Relations Board announced Tuesday. Since November 2012, NLRB has had 181 cases filed involving McDonald's. Many have been dismissed, but the agency said that McDonald's USA LLC will be considered a joint employer in cases that are found to have merit. Restaurant chains have fought such a designation. McDonald's intends to contest the ruling, which the company warned could have a broad impact beyond the restaurant business. 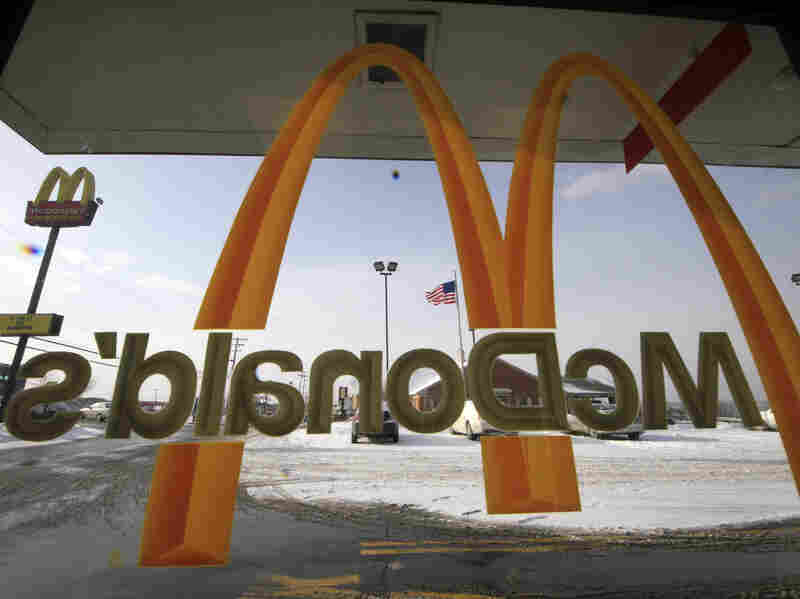 Its 3,000 franchisees set the terms of employment, such as wages and hours, Heather Smedstad, McDonald's senior vice president for human resources, said in a statement. "McDonald's also believes that this decision changes the rules for thousands of small businesses, and goes against decades of established law," she said. Labor advocates say that it's clear who's really the boss, arguing that the company holds enormous sway over the business operations of its franchise owners. "The reality is that McDonald's requires franchisees to adhere to such regimented rules and regulations that there's no doubt who's really in charge," said Micah Wissinger, a New York attorney who represents McDonald's workers. Labor organizers have been organizing protests about working conditions at fast-food restaurants and seeking an increase in the minimum wage for employees to $15 an hour.